During these formative childhood years, it is important that your children receive the guidance and support they need to be successful. We strive to make sure our students are given every resource and opportunity available to set them up for success and prepare them for the challenges ahead. With the start of the new year, the counseling department will be introducing new lessons. 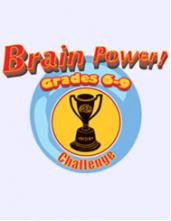 Our middle school students will start a drug and alcohol curriculum called “Brain Power.” This curriculum looks at the effects of drugs and alcohol on the human brain. Science experiments, group projects, and hands on learning activities will help our students understand the adverse effects of drugs alcohol. Please check back for more updates. 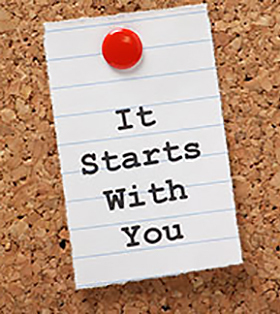 Our kindergarten through fifth grade students will be focusing on feelings (both personal and those of others around them), friendships, and many other lessons that will help them understand themselves and others. We have been working on a concept called “growth mindset” with our kindergarten through 8th grade students since school started. Growth mindset is the idea that challenges, failures, and hard work are all part of the learning and growing process. We want students to embrace challenges in order to learn from them. We have been teaching some growth versus fixed mindset language to our students. 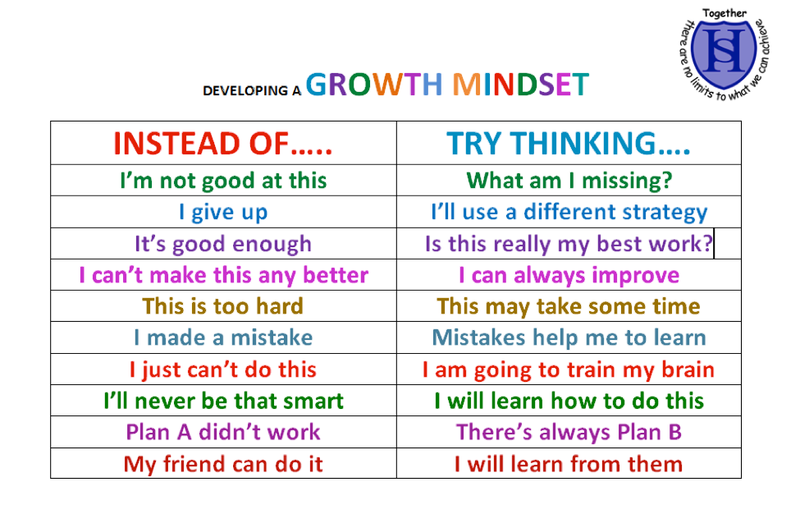 Below is a chart that will help you practice growth mindset thinking at home. In the coming weeks we will be working with Kelso's Choices in kindergarten through fifth grade. This is a conflict resolution curriculum that helps students choose better ways of dealing with conflicts. 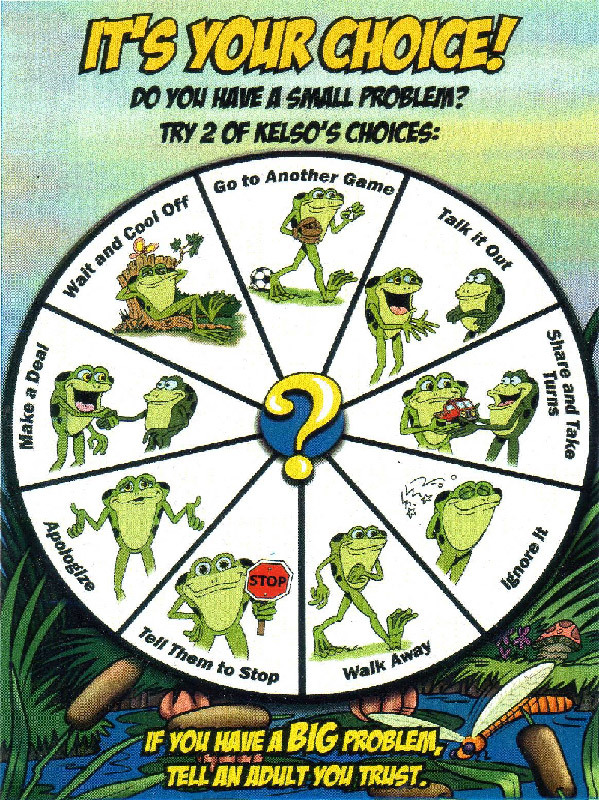 In kindergarten through second grade, Kelso, a frog, teaches students different strategies to help deal with what he calls "Small Problems," such as pushing in line, not taking turns, interrupting someone, and so on. In third through fifth grade, we teach the same choices , but through a more grade appropriate delivery model. We will be hanging Kelso posters in our classrooms. We encourage families to use the posters at home as well. When siblings are arguing, simply ask "Which one of Kelso's Choices would you use?" 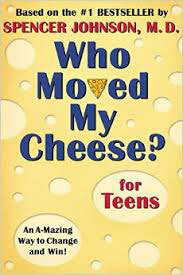 Middle school students will be reading the book Who Moved My Cheese? for Teens. Through this book study we will be discussing how to adapt to change. How do we deal with change? Could we face change differently? The four characters in the book, two mice named Sniff and Scurry along with two little people named Hem and Haw, have to navigate the maze of change. At the end of each chapter the classes will discuss "the writing on the wall."